Here is a write-up of a talk I recently gave at the NIH. The topic is a good one, about doctors and decision making and all that crap. But the real importance of linking you to the story is to find out if you hate my sport coat as much as my wife does. It is the only one I own now, and I’ve had it for 25+ years. Time for a new one? Does doctor always know best? Patients often ask their doctor: “What would you do in my situation?” But as the doctor explains the risks and benefits of treatment options and imparts advice, it’s important to remember there’s a human behind that medical chart, a patient with unique values, opinions and personal preferences. A doctor’s recommendation often influences a patient’s treatment choice, so the clinician has a huge moral responsibility to recommend well, said Dr. Peter Ubel, a physician and behavioral scientist who teaches public policy and business at Duke University. 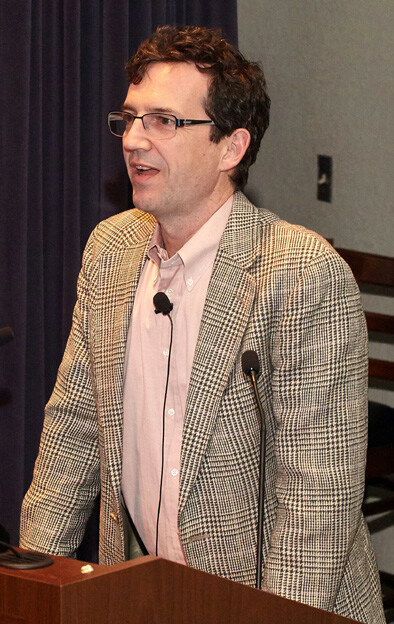 He led an animated, thought-provoking discussion about shared decision-making among doctors and patients at a bioethics lecture Mar. 22 in Lipsett Amphitheater. Ubel used the example of a patient with low-grade prostate cancer who was trying to decide between surveillance or surgery and radiation. Whether he chose the passive or active approach, the survival rate was the same. But with waiting comes anxiety, and with the medical procedures, he’d run the risk of incontinence and erectile dysfunction. In this case, how worried was the patient about those side effects? What were his life goals? Asking these kinds of questions can help determine the best course of action. In a similar case, a patient said he preferred the watch-and-wait approach, that he could more easily pursue active treatment after he retired in a couple of years. “All else equal, the treatment people receive should have something to do with what they care about and these baseline preferences,” said Ubel. The doctor also should consider the patient’s reaction when delivering the diagnosis, said Ubel. In a urology office, a doctor told a patient he had slow-growing cancer, then tossed out a lot of convoluted, vague information. The doctor may think it’s not an aggressive case so it’s not bad news, but the patient probably only heard, “you’ve got cancer” and tuned out the rest. People need time to recover from bad news before making an informed decision. Ubel warned that information overload reduces comprehension and retention, and ultimately affects the patient’s choice. If we have too many choices and too much information to process, Ubel said, people disengage. And patients might just ask for the doctor’s advice without really understanding the diagnosis and treatment alternatives. In one survey, urologists said they only dispensed advice after gauging which way the patient was leaning. The urologists usually asked whether the patient had normal sexual function, but only 12 percent asked whether sexual function was important to the patient. And, astoundingly, only 13 percent said this preference should factor into deciding the right treatment. Look beyond age and test results, said Ubel; consider what patients care about. To read the rest of this story, please visit the NIH. 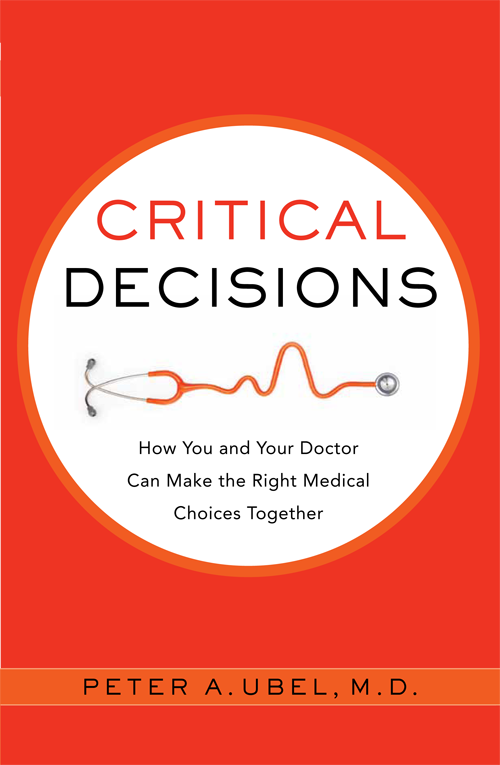 This entry was posted in Uncategorized and tagged medical decision making. Bookmark the permalink.